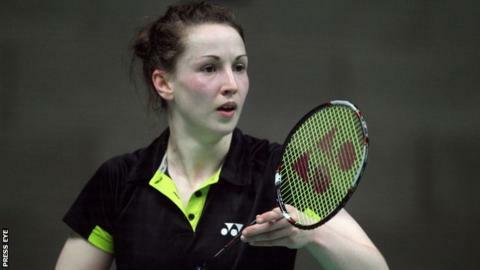 Donegal woman Chloe Magee ended her 2012 season on an impressive note as she won the women's singles and mixed doubles titles at the Turkish Open. Magee beat France's Sashina Vignes Waran 21-18 23-21 in the singles final and then teamed up with her brother Sam to land the mixed doubles title. The Frenchwoman was number one seed in the tournament. The Magees defeated Germany's Fabian Roth and Jennifer Karnott 21-14 21-10 in the mixed decider.